Medical research shows that the nervous system of a person with persistent pain becomes sensitive and easy to activate. This increase in nerve sensitivity increases pain. By relaxing or meditating you reduce this sensitivity. You create healthy nerve activation in your brain, spinal cord and body that helps decrease pain. This recording provides you with three practices that retrain your nervous system to reduce nerve sensitivity and lessen pain. Progressive Relaxation guides you to gently contract then relax different muscle groups. This exercise promotes mind-body awareness, the deep relaxation of muscles and the calming of your nervous system. Mindful Body Scan guides you to bring a present moment, stable, kind and open awareness to your entire body, progressing from your feet to your head. 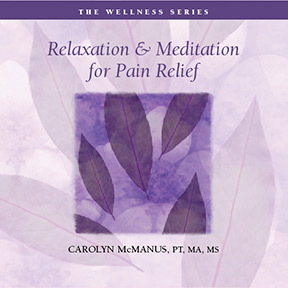 This practice helps reduce nervous system reactivity that increases pain. Kindness Meditation guides you to repeat key phrases that awaken your heart’s friendliness and goodwill. This focus on kindness reduces pain-amplifying brain activation due to fear, anger and stress. The ability to relax your body and calm you mind is necessary for health and well-being. This recording helps you discover your capacities for relaxation and inner calm. Progressive Relaxation promotes mind-body awareness and the deep relaxation of muscles throughout your body. This recording guides you to gently contract then relax different muscle groups. It concludes with awareness of your entire body resting in a state of relaxation. 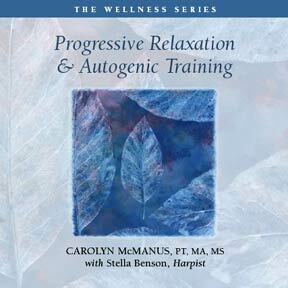 Autogenic Training promotes states of deep relaxation through the mental repetition of key phrases. “My right arm feels heavy and warm” is an example of an autogenic phrase. This recording guides you to repeat several autogenic phrases to achieve relaxation and inner calm. It concludes with awareness of your entire body resting in a state of relaxation. Relaxing at bedtime is the natural way to promote restful and renewing sleep essential for well-being. Medical research has shown that relaxation exercises can help people fall asleep, remain asleep through the night and wake refreshed. 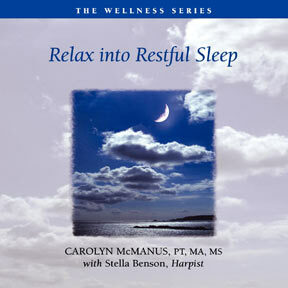 This CD guides you through two 30-minute relaxation exercises that promote restful sleep. You may listen to one relaxation exercise or both, or you can alternate them, listening to one on one night and the other on the next night. With the regular practice of these exercises, you will find yourself falling and remaining asleep with increasing ease. Carolyn’s calming voice combined with Stella’s comforting harp music create an atmosphere of peace and tranquility perfectly suited for relaxing into restful sleep. . Additional music by Stella Benson is available through her website. The ability to relax your body and calm you mind is necessary for health and well-being. This recording helps you discover your capacities for relaxation and inner calm. 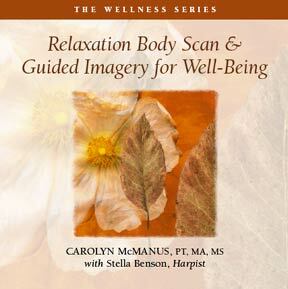 Relaxation Body Scan introduces you to simple breathing exercises that relax your body and calm your mind. Guidance to relax each muscle group in your body is provided. The program concludes with awareness of your entire body resting in a state of relaxation. Guided Imagery for Well-Being begins with a brief relaxation body scan, followed by a guided journey to a calm and peaceful place. You are invited to experience peace, balance, well-being and any positive feeling or quality you would like to strengthen within yourself. The program concludes by guiding you to experience these positive feelings and qualities in your body in the present moment. Additional music by Stella Benson is available through her website. Mindfulness meditation and body scan are practices that develop your ability to pay attention to your present moment experience with increasing stability, openness and wisdom. You learn to observe thoughts, emotions and physical sensations without judging or trying to change them. These practices promote insight and understanding, compassion and inner peace. They enhance your ability to live life more fully. 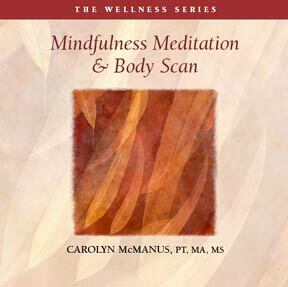 Mindful Body Scan introduces you to mindfulness of your body. You are guided to observe your breathing and bring present moment awareness to your body, progressing from your feet to your head. This practice concludes by guiding you to observe your entire body and experience wholeness. Mindfulness Meditation begins with a brief mindful body scan followed by three meditation practices. These practices build concentration and develop your ability to rest the mind in the present moment. How to respond to unpleasant physical sensations and emotions with mindfulness is introduced. Life can be a journey that opens the heart. 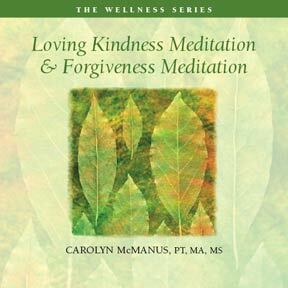 Loving Kindness and Forgiveness Meditations help you open your heart and grow in wisdom, compassion and love. Loving Kindness Meditation guides you to repeat key phrases that awaken your heart’s goodwill, kindness and love. You direct loving kindness toward a loved one, yourself, a neutral person, someone with whom you have a conflict and to all beings. You gain insight into and experience a capacity for love that is immeasurable, sustaining and unconditional. Forgiveness Meditation invites you to identify where your heart feels closed because of past hurtful behaviors and choices you made or were made by others. You are guided to cultivate understanding, insight, and forgiveness and to direct forgiveness toward yourself and others. You gradually free yourself from the burden of these old wounds.